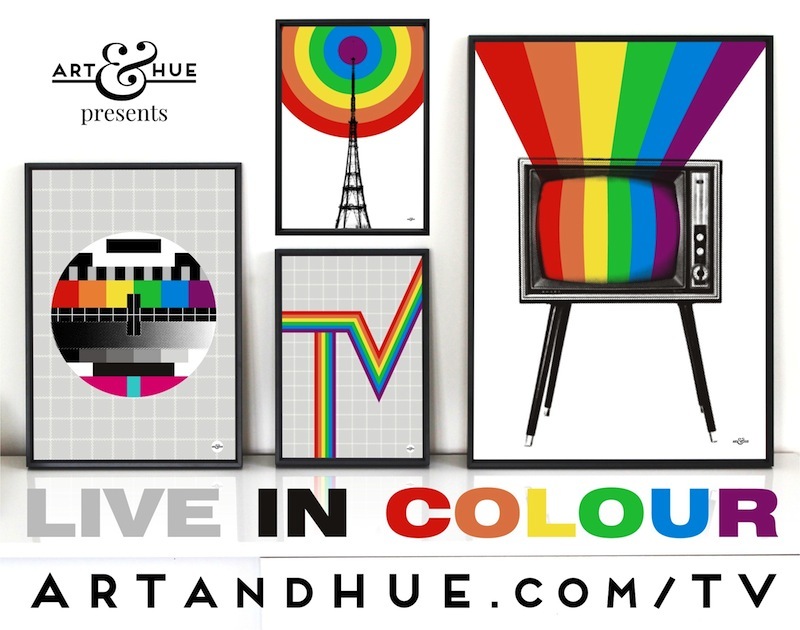 In 1967, the colour was switched on for the first time in Great Britain, literally and metaphorically. 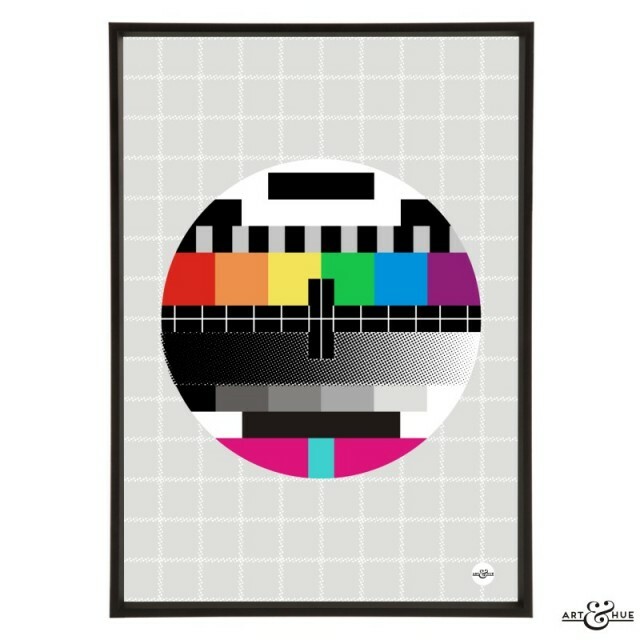 The BBC broadcast the first colour pictures in July 1967 before BBC 2 started broadcasting in full colour from December of the same year. 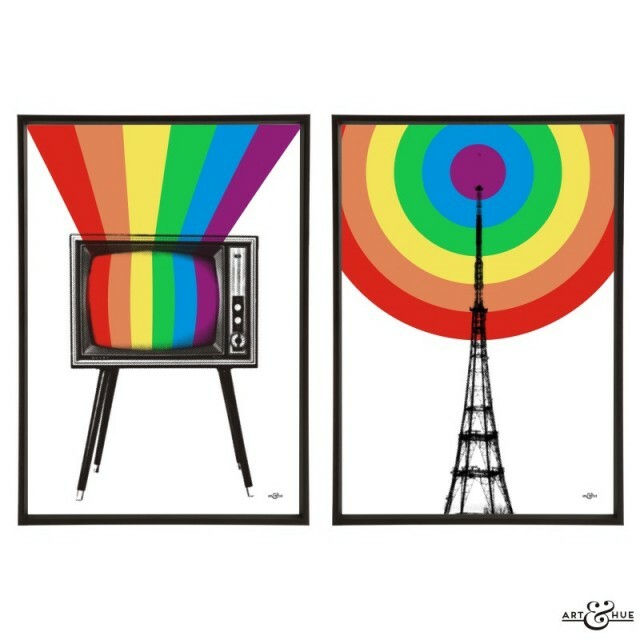 Additionally, society at large, and the British cultural landscape, seemed more colourful when homosexuality was decriminalised on July 27th 1967. 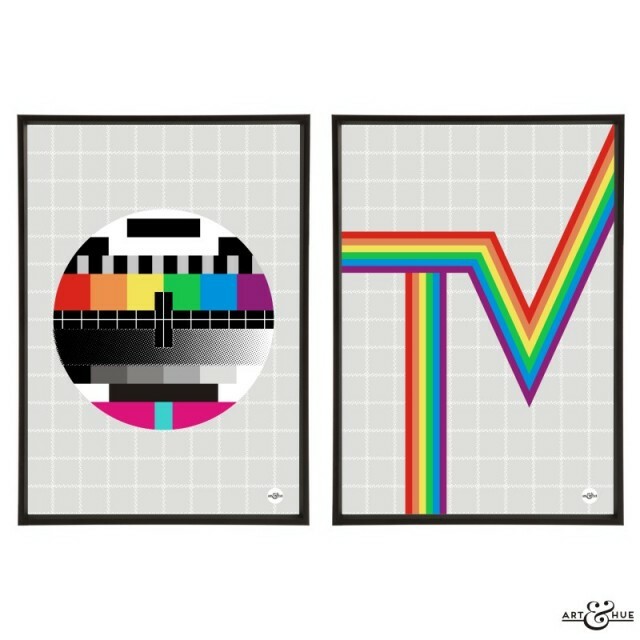 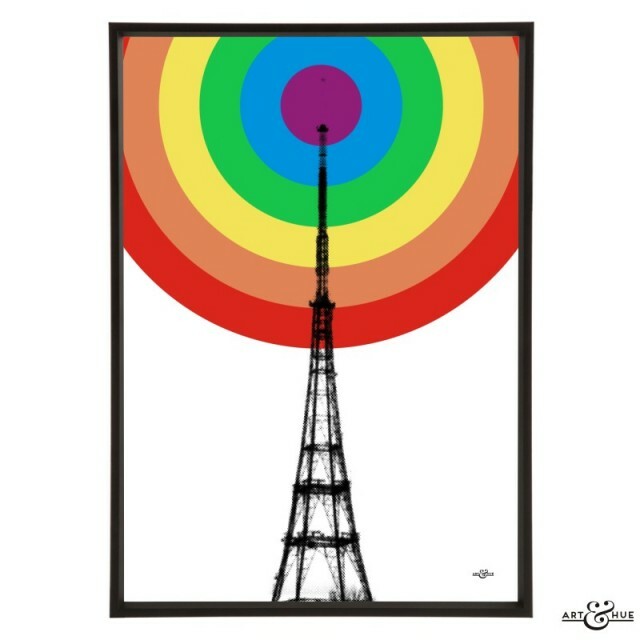 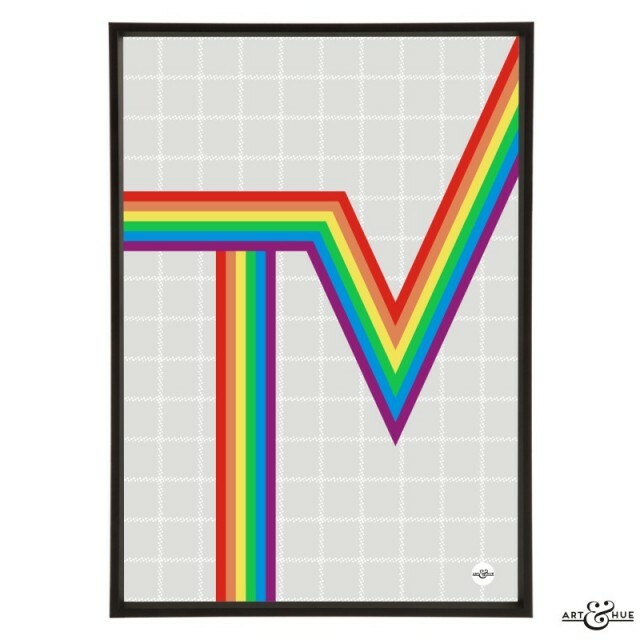 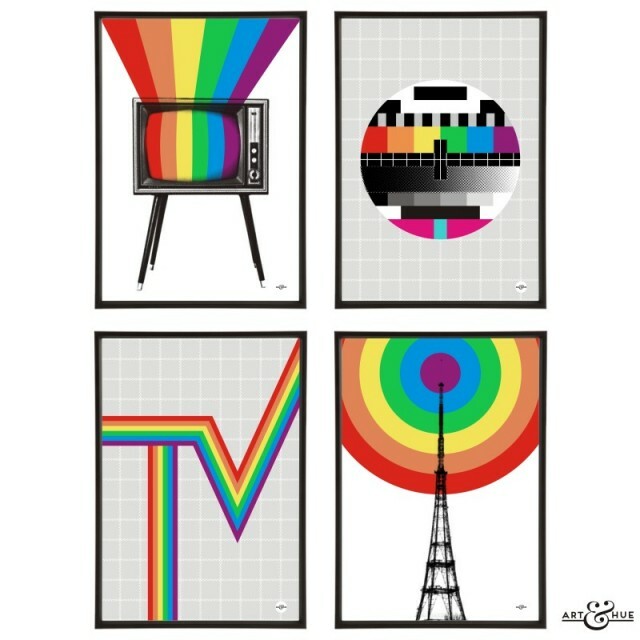 Referencing the colourful progress in Britain 50 years ago, Art & Hue has created a group of four pop art prints to add style to the iconic rainbow as well as a contemporary take on retro television for your walls. 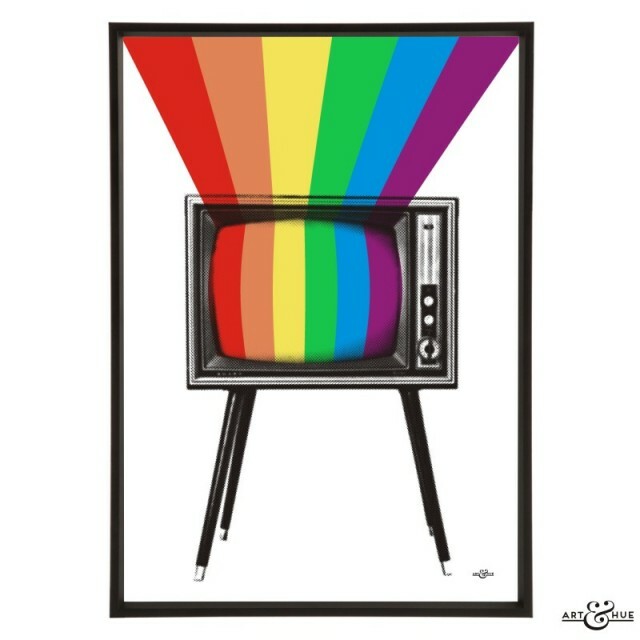 Available in three sizes and 28 colour options, choose from Rainbow, Pastel Rainbow (a delicate ice-cream palette), RGB (the three colours of the vintage TV screen spectrum), CMYK (the colours of printing), as well as 24 other colour choices.